Q. From Donna: I’m interested in finding out more about the Imperial Camel Corp. My grand-uncle was part of this corp and was killed on 3/11/17 at the Battle of Khuweilfe. Do you know if any war diaries or logs are available for this battle? The camels dont seem to get much of a mention most places. A. AWM: The Research Centre has digitised their holding of war diaries for Camel Corps units which can be viewed on our website from http://www.awm.gov.au/collection/records/awm4/11/. You can also find photographs of the Camel Corps on the Collection Search http://www.awm.gov.au/search/collections/. Jennie. A. Donna: Brilliant! I will certainly take a look! Q. From Peta: I have photographs of several soldiers from WWI whose photos don’t seem to be available on the AWM website. Do I have to donate those photos for them to be up up with the soldiers record or can I send copies or what is the procedure? I did not really want to part with them yet. I also have a copy of the Proclamation – in Pidgin – that was made in Rabaul after the battle up there. I have seen it in English on a website somewhere, but never in Pidgin. A. AWM: Hi Peta, the National Archives of Australia allowed users to post photographs to their site Mapping our Anzacs http://mappingouranzacs.naa.gov.au/ to accompany the service records. There are changes happening to this site which are detailed here, http://moa-news.tumblr.com/. Photographs on the Memorial’s Collection Search are those that have been donated to us for the National Collection. General information about donating to the Memorial can be found on our website from http://www.awm.gov.au/collection/donations/. A. Peta: Ok thanks again. I will see if I can post to Mapping our Anzacs. Q (b): Peta: Is there any kind of recognition happening next year for the people of the Australian Naval and Military Expeditionary Force – the combined force that was despatched in August 1914 in order to neutralise German New Guinea? Q (c): Peta: Did you find anything out about Leo James Corrigan as per my email earlier today? A. AWM: Hi Peta, we do not have any information about identification of recently discovered bodies in France and Belgium. It looks like you already have a fair bit of information about his service, which is what we provide. I would suggest you visit the Army website for unrecovered war casualties. They have updates on identifications: http://www.army.gov.au/…/Unrecovered-War-Casualties-Army. A. Peta: Ok – thanks. I am hoping that somehow, we might get him identified. Will look at that link. Q. From Wendy: My great grandfather’s brother David Burge was with the 26th Bn at Gallipoli , his record mentions ‘Brigade Snipers’. Are there any books or records about Gallipoli Snipers apart from “Billy Sing”? A. WW1 Lost Boys: Thankyou very much , I look forward to finding it. Q. From Anita: Looking for any images of Gilbert Harper Richards buried in France Villiers Bretonnuex have found Kenneth Hughes Richards, one image. Q. 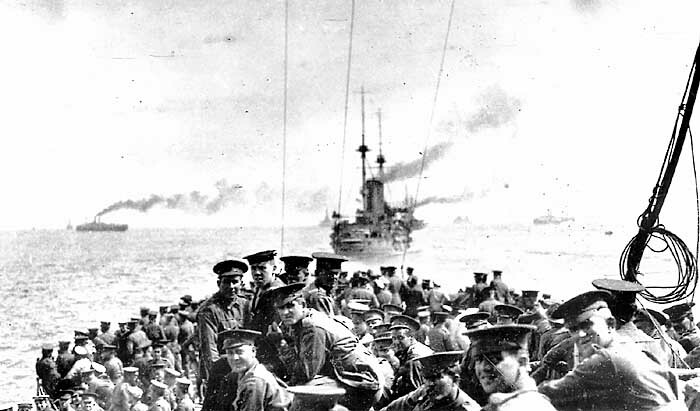 From Anne: I am interested in early casualties – before Gallipoli, in WW1. I understand William (Billy) Williams of Northcote was the first. Another Robert Bell of Richmond was another. Is there a list of early casualties please? As well is there a list of underage enlistments i.e. James Martin? Thank you. (I have found some, but believe I need to expand my keyword searches). Q. From IHM: Please join me in thanking the Australian War Memorial team! Thanks Jennie, Dianne, Liz and Cameron. We always enjoy our trips to the Memorial but what do you have planned that we should be excited about? A. AWM: Goodnight and thank you for your interest! Who will you remember this November 11? Lest We Forget.